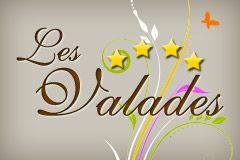 All elements of the site lesvalades.com are and remain the exclusive intellectual property of SARL Camping les Valades. Nobody is allowed to reproduce, use, repost, or use for any purpose whatsoever, even partially, the elements of the site they are software, visual or sound. Any link (single or hyperlink) is strictly forbidden without prior agreement of the SARL Camping les Valades. In accordance with the provisions of the Consumer Code concerning “the process of mediation of consumer disputes”, the customer has the right to use the mediation service offered by Camping les Valades free of charge. The mediator “consumer law” thus proposed is MEDICYS.